1. It can be much cheaper than sticks and bricks. A physical house (or “sticks and bricks” as they’re called in the RV world) can be expensive. You have to pay rent or mortgage, utilities, and more depending on where you live. 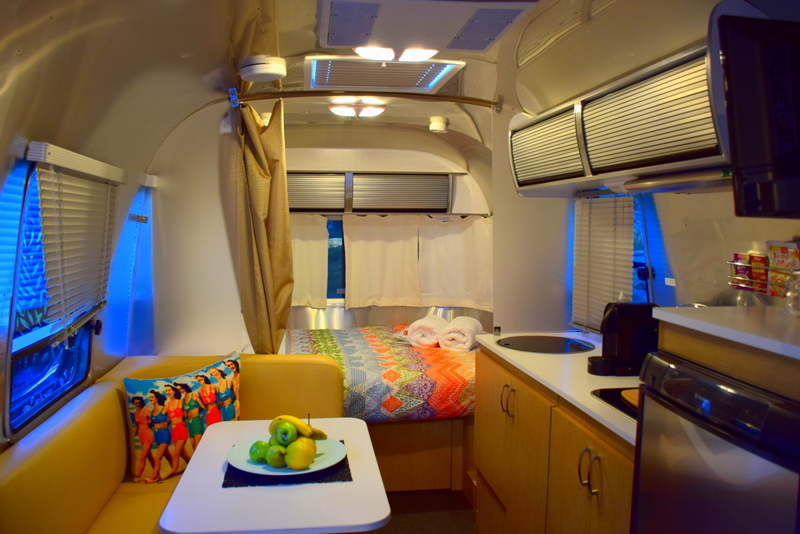 If you decide to RV, your “rent” is as little as a few hundred dollars per month. You could even just buy the camper outright and be done with it! Of course, you have to factor in campground rent, gas, insurance, and other bills. But it still ends up being cheaper if you don’t stay anywhere super luxurious. In fact, we did the math on all our bills and found that the average RV lifestyle costs around $1,400 to $3,000 per month depending on your personal choices. 2. You get more time in nature. There’s nothing like the great outdoors! Being in nature improves your mood and makes you more relaxed. It’s the reason people love RVing! 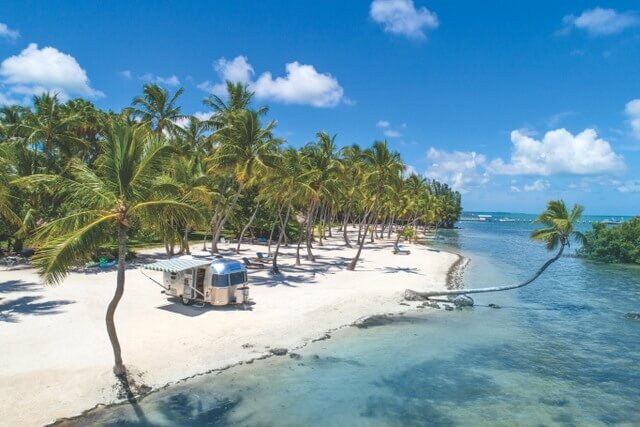 You can even go boondocking or dry camping, which is basically staying “off the grid” (no water, sewer or electric hookups in exchange for staying in some truly remarkable places). 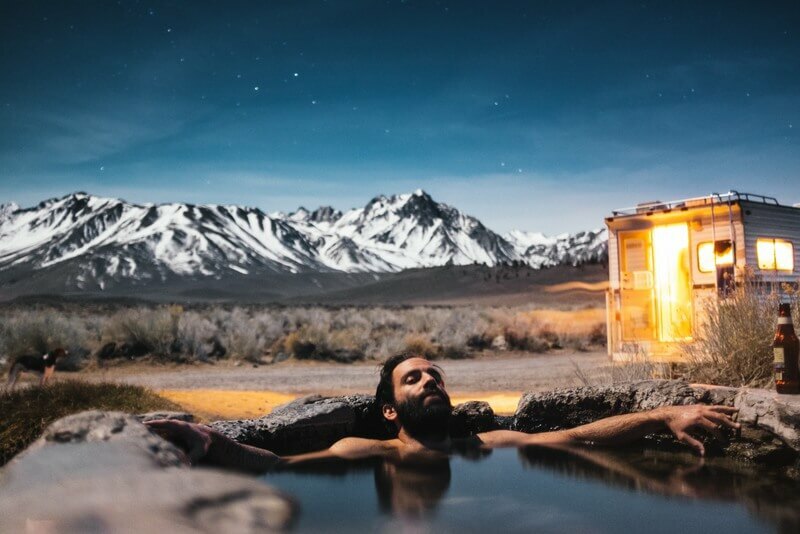 Of course, your RV has holding tanks for fresh water and sewage, plus a battery and even a solar hookup if you want it, so you’ll still have access to most of the comforts of home even in the middle of nowhere! 3. Travel! You get to see so many places. Don’t like your surroundings? No problem! Pack up and hit the road. 4. You experience a lot of personal growth. When you live on the road, you have a lot of responsibility. As you’ll soon learn, things break and life doesn’t always go according to plan. You’ll need to be adaptive and figure things out as you go. All that novelty and challenge forces you to grow by leaps and bounds as a person, which is a wonderful side effect! 5. There are loads of ways to meet new people. From other campers (who are usually very friendly) to campground hosts, fellow hikers, other kayakers, and more, there are SO many opportunities to meet new people when you live in an RV. Compared to where we live now (we don’t get out as much as we’d like), it was so much easier to make new friends on the road. 1. Not a lot of space (particularly the kitchen). Kayla has a food blog and loves to make extravagant meals. That’s virtually impossible in the tiny RV kitchen. The small space means you really have to decide what’s worth taking and what isn’t. There’s no room for extra clutter. It also means things get cluttered fast, so you’ll need to clean often. 2. Mold and mildew are real problems. Because of the tiny space and lack of strong ventilation, it’s easy for mold and mildew to grow. Particularly in areas you can’t easily see or get to (such as under or behind the shower). Whenever you buy a used rig (and I do recommend used, as campers lose their value as soon as you take them off the lot), always, always, ALWAYS get it inspected before you buy. If they won’t let you get it inspected, move on. 3. Your home suffers an earthquake every time you drive (things break). Driving your home across the freeway at 60+ mph is a sure way to have things break, crack and leak. I recommend having a budget for repairs because they are guaranteed after some time on the road. It’s also a best practice to inspect your rig before and after every drive. Check the seams and corners to ensure no water is leaking and nothing looks off. 4. 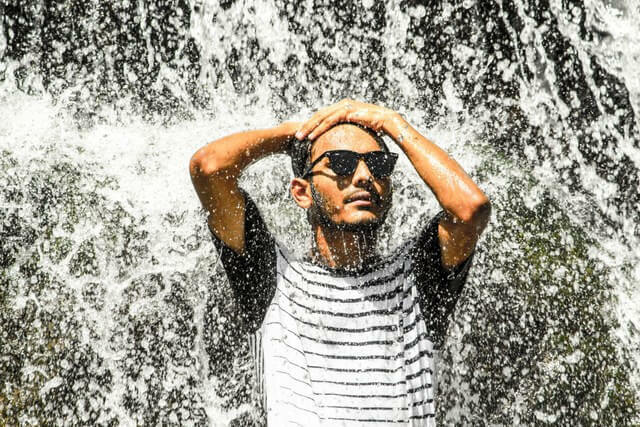 Climate control can be difficult. You’re basically in a tin (or wood) can with very little, if any, insulation. If it’s hot and muggy outside, it’s going to be fairly hot and muggy inside, even with the AC running. Is it’s cold and dry outside, it’s going to be pretty cold and dry inside. Kayla and I were staying in the RV up north in late October when it was 40 degrees outside and we had trouble keeping it above 60 inside. Not fun! 5. Driving a big rig can be stressful. The bigger your RV, the more space you have—but the fewer places you can stay and the more stressful it is to navigate one-way streets and make quick lane swaps on the highway. Our rig was 32’ and it was not fun driving anywhere besides highways during dead times. It’s actually one of the biggest drawbacks of RVing, at least for me. I hated long rides driving that thing! 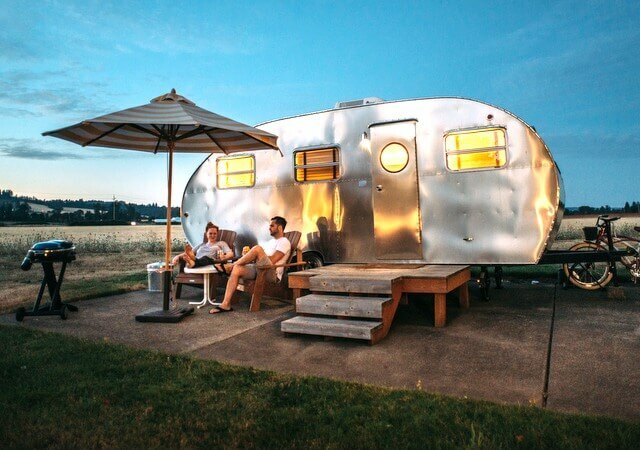 Living in an RV can be a dream come true, but … for the right person. If you love the idea of seeing new sights all the time, being in nature, and meeting new people—but don’t mind small spaces and a few challenges here and there—RVing might be for you! If you’re curious but not sure if you’d like it, I recommend renting an RV for a few months to test it out. You can even try renting different styles of RVs, like motorhomes vs campervans vs trailers, to see what you like best! 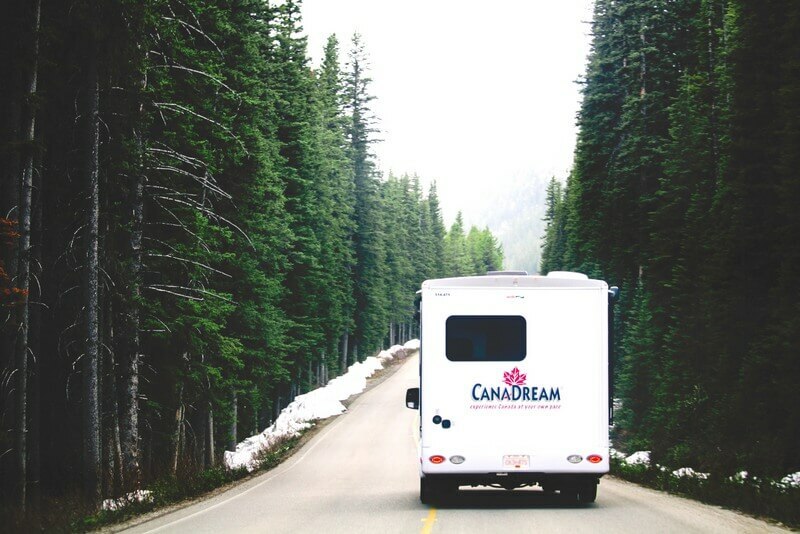 Are you considering the RV life? Why or why not? Let me know in the comments! Bill and his fiance Kayla run The Wandering RV, a site dedicated to helping people learn how to live the RV lifestyle and spend more time in the great outdoors! When they’re not traveling or writing, they also co-host a podcast called Better Life Better Business.